Bootstraps to Share of Tucson, Inc. The name of the corporation shall be BOOTSTRAPS TO SHARE OF TUCSON, INC.
To provide a vehicle whereby youths who are less likely to benefit from material advantage due to social, educational and/or economic constraints, may gain access to vocational and technical skills. To develop self-confidence, a positive self-image, and a degree of self-sufficiency in youths, and conversely reduce the likelihood of youths engaging in self-destructive and/or criminal behavior. To recognize and work to remedy the fact that the development of self-confidence, positive self-image, and self-sufficiency is a much greater problem for girls than it is for boys. 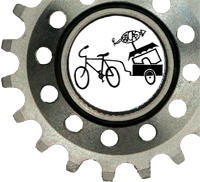 To educate youths and the community at large about the benefits of human powered transportation. To provide a vehicle whereby the homeless are able to re-enter the mainstream of society through the unified efforts of both the homeless and non-homeless communities. To enable the homeless, unemployed and working poor to unify their efforts for the ultimate betterment of all and to cooperate with other organizations and/or individuals seeking to obtain the same goals. To increase community awareness of and sensitivity to the problems of homelessness and poverty in the community and to solicit the assistance of the general public in the elimination of the causes of homelessness and poverty. To formulate, propose and advocate the implementation of various programs. To solicit, collect, and distribute funds and materials. To acquire, sell, or trade any real and/or personal property required. To transact any and all lawful business for which non-profit corporations may be incorporated under the laws of the State of Arizona, as they may be amended from time to time. This organization is organized exclusively for charitable and educational purposes within the meaning of Section 501(c)(3) of the Internal Revenue Code. Notwithstanding any other provisions of these Articles, the Corporation shall not carry on any other activities not permitted to be carried on (a) by a corporation exempt from Federal income tax under Section 501(c)(3) of the Internal Revenue Code of 1986 (or the corresponding provision of any future United States Internal Revenue law), or (b) by a corporation contributions to which are deductible under Section 170(c)(2) of the Internal Revenue Code of 1986 (or corresponding provision of any future United States Internal Revenue law). No part of the net earnings of the Corporation shall inure to the benefit of, or be distributable to its members, trustees, officers, or other private persons, except that the Corporation shall be authorized and empowered to pay reasonable compensation for services rendered and to make payments and distributions in furtherance of the purposes set forth. No substantial part of the activities of the Corporation shall be the carrying on of propaganda, or otherwise attempting to influence legislation, and the Corporation shall not participate in, or intervene in (including the publishing or distribution of statements) any political campaign on behalf of a candidate for public office. Upon the dissolution of the corporation, assets shall be distributed for one or more exempt purposes within the meaning of Section 501(c)(3) of the Internal Revenue Code (or corresponding section of any future tax code), or shall be distributed to the federal government, or to a state or local government, for a public purpose. Any such assets not so disposed of shall be disposed by the Court of Common Pleas of the county in which the principal office of the Corporation is then located, exclusively for such purposes or to such organization or organizations, as said Court shall determine, which are organized and operated exclusively for such purpose. IN WITNESS WHEREOF, we the undersigned incorporators do hereby set our hands this 29th day of September, 1989. I, Paul Gattone, having been designated to act as Statutory Agent, hereby consent to act in that capacity until removed or my resignation is submitted in accordance with the Arizona Revised Statutes.